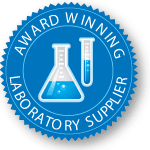 NSI Lab Solutions Food Microbiology PT studies are designed for your convenience and your success. All PT sets are supplied with required number of 90 mL hydration buffer vials for your convenience. A blended organism PT standard for quantitative determination of APC, Total Coliform, E.coli, S.aureus, Enterobacteriaceae and Yeast/Mold, in the range of 100-250,000 cfu/g, after hydration. A three sample set for qualitative identification of Listeria spp. Set contains non-pathogenic Listeria strain and non-pathogenic non-listeria organisms. Report present or absent for Listeria spp. for each sample in the set. Three different series available per study. 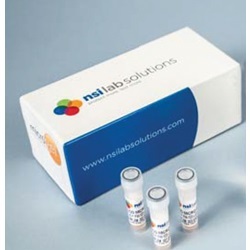 A three sample set for qualitative identification of Salmonella, spp. Set contains Salmonella and non-pathogenic, non-salmonella organisms. Report present or absent for Salmonella spp. for each sample. Three different series available per study. A unique three sample set for qualitative identification of S.enterica, L.monocytogenes and E.coli O157:H7. Report present or absent for each organism of interest. Three different series available per study. A three sample set for qualitative identification of Campylobacter spp. Set contains C.jejuni or coli and nonpathogenic/non-campylobacter facultative anaerobes. Report present or absent for Campylobacter spp for each sample. A pure culture conveniently supplied in duplicate for quantitative determination of B.cereus, in the range of 100-250,000 cfu/g, after hydration. A pure culture conveniently supplied in duplicate for quantitative determination of lactic acid producing bacteria, in the range of 100-250,000 cfu/g, after hydration. A pure culture conveniently supplied in duplicate for quantitative determination of Campylobacter, in the range of 100-250,000 cfu/g. A pure culture of C. perfringens conveniently supplied in duplicate for quantitative determination of C. perfringens. A single sample conveniently supplied in duplicate containing at least 1 of 6 STECs for identification. A three sample set for qualitative identification of L.monocytogenes. Set contains L.monocytogenes plus two non-pathogen, non-listeria organisms. Report present or absent for L.monocytogenes for each sample in the set. Three different series available per study. A pure culture of P. aeruginosa conveniently supplied in duplicate for quantitative determination of pseudomonas, in the range of 100-250,000 cfu/g.